"They feel kind of a personal connection to the restaurant; they feel they know something that maybe not everybody else does." The Salt looks at why restaurants and diners both like secret menus. Share your experiences ordering off the menu with us below in the comments. Weary of winter? Well, be encouraged: Magic Hat has released their new spring seasonal beer, Pistil. Pistil is made with barley, oats, and fun hops like Apollos, but it's also fermented with dandelion petals. The Vermont brewer's spring beers are usually some of its best, and have wide distribution in CT, so keep and eye out for this sign of spring. 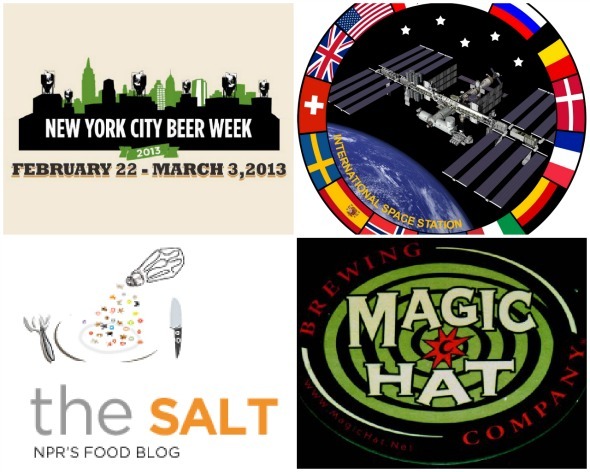 Brew York: New York City Beer Week starts today and runs through March 3. Ride the steel rails to the brass rail as NYC becomes Brewtopia. Events happen all over the city, so food/beer pairing dinners and words like "unlimited tastings" are being thrown around. No need to drive: let the train lull you to sleep on the way home. Miss your station by four stops. Still worth it.